Omg time flies~ It's been almost half of a year since I moved out from my parent's house. It's quite a love hate relationship for me. Moving out alone have more freedom but it reminds me that I'm responsible for my own. Sometime I feel a little lack of time management because I always do my work at night since most of the day time I'm busy and I think I didn't tell you guys that ever since I moved out from my comfort zone, I'm working as a content creator at one of my friend's company. Basically it's all about creating content for their company and do a little branding and shooting for their social media account too. It was fun and I met lots of new people that changed my mind because that company was nice and don't have any politics. It's no longer a boring life for me but then, I felt lost for awhile because I don't have my own time to manage my blog, shooting for myself and have my own private time (although I only work 3 days / week only) and most importantly, I can't travel as much as I want. Most of the time I will be thinking like how to create wonderful content for my work but not for myself. 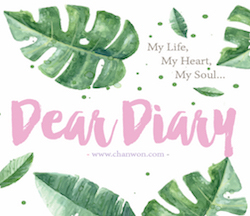 Soon, it took me for awhile to think and decide whether I should continue for it or focus back to my own blogging life. It's quite struggle for me because I take this as one of my top priority since my friend was really sincere and nice to me. It was a great opportunity but most of the time I feel really stress because I can't handle both in once. I can't sleep because every morning I'm working and at night I'm planning for my own and thinking how can I squeeze my time for both company and my own. It was quite a bad idea for me because at night I still need to blog for my blog and take care of my instagram + facebook. I even ask Smelly OT for me, come to my place and help me to take photo for my blog and instagram because I have no extra time to adjust for my timer and tripod stand. I need to do it one shot every week. It was quite tiring but I told myself, it's okay! Will be fine because I'm passion with it and feel so satisfied after everything. Few months later, I'm so exhausted. Mentally and physically tired! I wish to sleep all day long and escape from it. 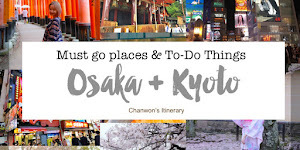 I read back all my travel post that I posted on my blog, I miss Japan but I still never decide whether I should continue this life to survive or to life with my passion and doing it for my own. Until one month ago when I decided to start my youtube channel because of all of you. I changed my mind. I decided to throw whatever I have for my blog and youtube channel. I wanted to create a great content for my blog and my super new youtube channel. I wanted to know or 'at least' try my best to see whether I can use another way to share my passion with you guys or not. So I asked on my insta stories and received lots of motivation and love + heart melted msg from all of you guys. It reminds me of my passion and to be honest, without you guys I'm just nothing. I can't stand that my blog didn't update for a week without any reason. If I'm travelling then I'm alright but you know that feeling when you stop doing what you love and you feel so sad on it. Dealing with the stress and my time management were a nightmare for me. So after lots of consideration, I decided to focus back my work as a blogger and back to my travel life and doing content for my blog and doing what I love. It took me some time to consider this because I'm always afraid that I can survive with it and I don't have enough $$ to pay for all my bills. No such thing as free lunch or the money won't drop from the sky if we never do our work. We get sponsorships sometimes or working with brand we love but in return on that, we need to do our work. Like how we submit our assignment, we need to come out with something exchange for the sponsorship. I'm not sure others but for me, I only create content or collaborate (I'm so picky) with brand / product I love or interested / you guys interested with it. But the reality is, doing for just sponsorship can't help me to survive so we blogger do charge for blog advertising. But even though this blog is open to advertising, I will never recommend and write about products or brands that I don’t personally use nor believe in. This was the thing that I practiced since years ago. I have a love & hate relationship with advertisement. No one like blog advertisement , I know it and I don't like too but it feeds me lol. Just like you work in a company then the company pay for your salary but for us our salary is mainly based on the amount of advertisement we accept and work with. Some client will complain that we do charge for blog advertising but they don't understand that our camera, our lighting, studio, housing and everything that we earn from our blog will always go back to our blog again & help us to create more useful content for our blog. I buy props for my advertorial shoot, my makeup, the outfit and everything can be count as expenses on creating a useful content on my blog. Travel expenses and everything! This is why I always try my best to balance the amount of advertorial and posting on my social media platform such as blog , facebook and instagram. Although I get paid from doing advertorial for client but I DO NOT GET PAID FOR POSITIVE REVIEW. If the thing wasn't nice at all, I will pay if back and return the product for the brand. Why? Because I don't want to disappointed you or spoil my reputation. You love my real sharing and my review so in return, I will only review for things that I think it's good. So if it's paid advertorial I will mentioned on my blog. If it's not pay then it's purely my sharing post because sharing is caring. I love doing that because this is the main reason I start to blog since 9 years ago. So please if you see any advertorial on my blog, do give me a little support on that. Whether it's a like on the posting or a share as long as you know it takes some time to create such content. Also, the review is always based on my own experience. So I hope you guys can understand how it works and hopefully I can balance everything in my social media platform. I have good time management when I'm focusing only one task but after I moved out it took me awhile to figure out again & again. I try to sleep very early every night and wakeup in the morning but soon I feel lazy because of my poor time management. Every week I need to give some time for my family because i go back to my parent's house to meet my family twice , I attending event , schedule for my blog and it took me around 3-4 days for one blog post with the final draft. OMG, I suddenly feel like 24 hours wasn't enough at all. So everything going to change now after this month, May! Yes, I'm excited for the coming June because I'm going to Japan , Singapore and will be back for few days then leaving to Korea again. I'm going to have more content on my blog and I wish to share all my haul on my youtube channel too. I love talking just I can't talk in front of the camera & the editing of the video is time consuming but I will not give up on that. Let me see after the end of this June (my one month 'trial period') , whether I'm able to cope with my life again and also gym every week. When I gym or at least exercise twice a week I feel so positive and happy without feeling sick and tired but once I stop....then OMG! I feel so lazy and getting tired day by day. #fingercrossed for this! So, today is the last day in May and if you feel really exhausted for the past few months or dealing with lots of stress! 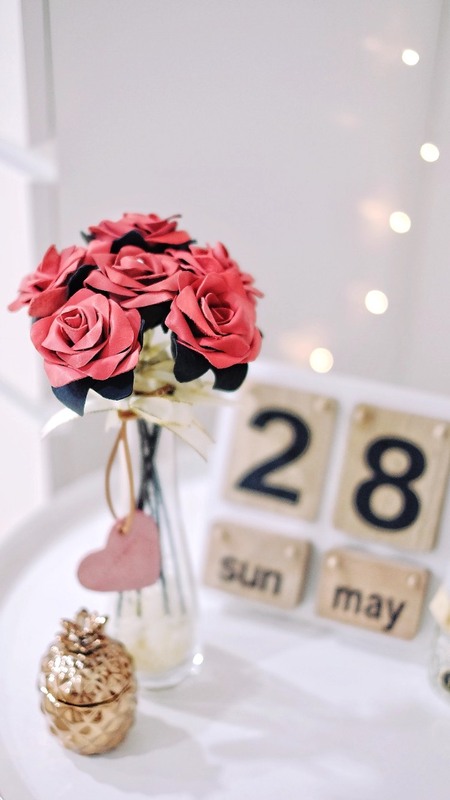 No worries because June is another good start for you. It's almost half of the year in 2017 so we left another 6 months+ to fight for our 2017. Your 2017 resolutions and also do something to motivate yourself. Whether you are planning for a coming year end trip, fighting for your company's sales / bonus or any plan. Just remember to ask yourself, have you give your best? If yes, continue to fight for the rest! Let's do it and a big hug for all of you! Hello June! I'm ready!